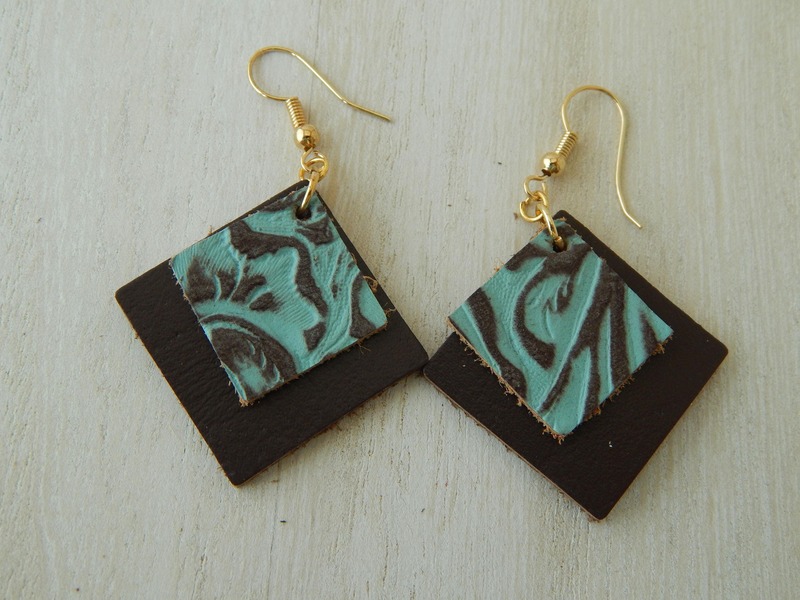 Double layer turquoise and brown leather embossed earrings are the perfect year round accessory. 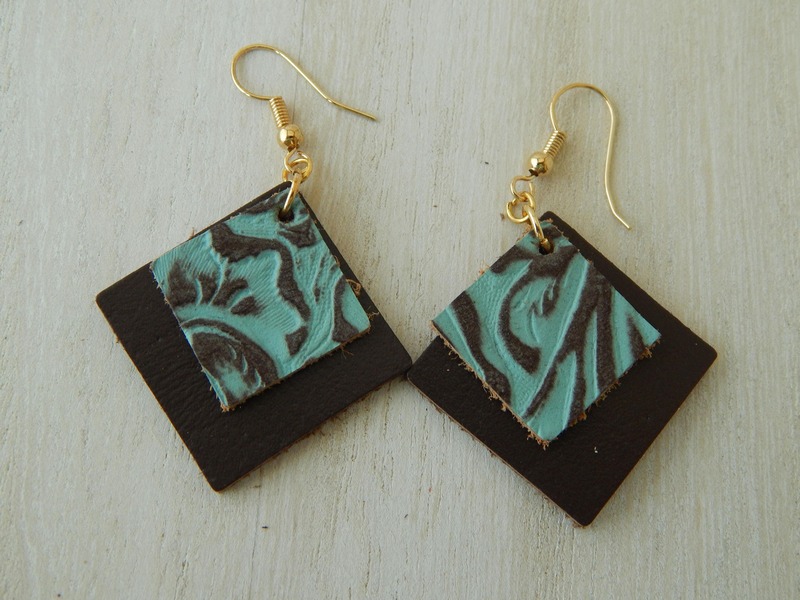 The neutral colors will match any outfit making these your go to pair of earrings this summer. Super light weight and comfortable to wear as well. 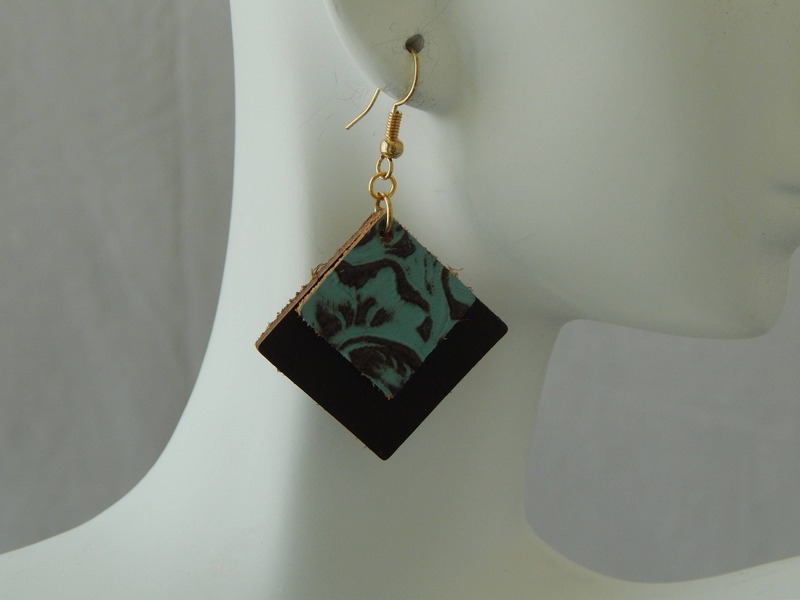 Smaller square is .75 inches and large square is 1 inch. Total drop is 2 inches including the earwire. Earwires are 18kt gold plated. Gold filled option is available.